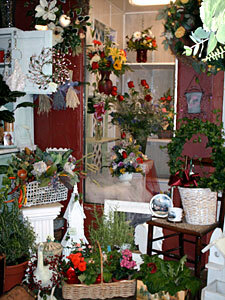 We are a family owned and operated floral shop. The love of flowers is our Business. We touch every arrangement with love. We provide premium flowers, artfully arranged at a surprising valued price. Being centrally located in Florida, We have the freshest flowers available on the market. We strive to "WOW" every recipient. Our goal is to serve you and meet all your floral giving needs. We guarantee you will be pleased. Our flowers can express your emotions from the simplest of designs to the grandest of arrangements. We have a large selection of tropical plants, house plants and unusual anthuriums, also ivy topiaries and calatheas. All plants are fresh from the growers. From birthdays to weddings to new baby or just because we can fulfill all your Floral needs. We also specialize in Corporate Showpieces and large lobby plants and trees. We are a complete custom floral shop. That means we can get just about anything you want. Just give us a call, and with just a little time we can deliver. We make ordering easy. Order here on site or give us at call 863-647-5200 or toll free at 866-474-7673. Also you can Fax your order to 863-647-5270. We deliver anywhere in the world. Relay fees apply to areas out of our delivery area.